You can upload a new version of an Asset if you want to replace the contents of the Asset, but leave all references to it intact. For example, you may have an Asset representing your logo that is referenced by components on several designs in a project. 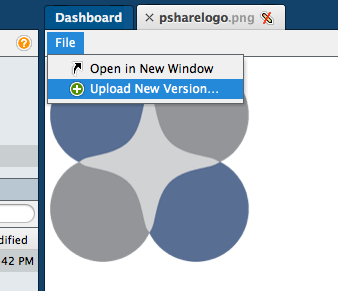 It is much easier to upload a new version of the Asset ( thus replacing the logo image ), than to find and replace each component referencing the old logo. Find the Asset in the Library and open it in an editor tab by double-clicking it, or using the Open action from the File or Context menus. Choose the Upload New Version action from the File menu within the Asset editor tab. Select the new file and wait for the upload to complete. Verify that any components that reference Asset are still be displayed properly.